Remove the rear wheel speed sensor, if equipped. Refer to Rear Wheel Speed Sensor Replacement. Remove the rear brake cylinder. Refer to Rear Brake Cylinder Replacement. Remove the brake shoes. Refer to Brake Shoe Replacement. The park brake cable connector is part of the cable attached to the rear brake backing plate. 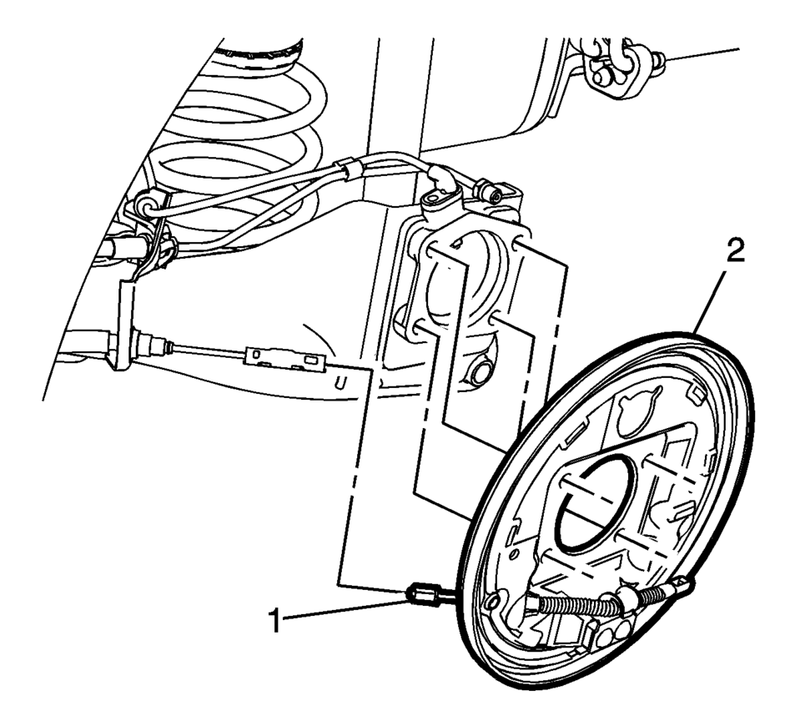 Disconnect the front park brake cable from the park brake cable connector (1). Remove the rear brake backing plate (2). If necessary, remove the park brake cable from the rear brake backing plate by compressing the park brake cable locking tab. If removed, install the park brake cable to the rear brake backing plate. 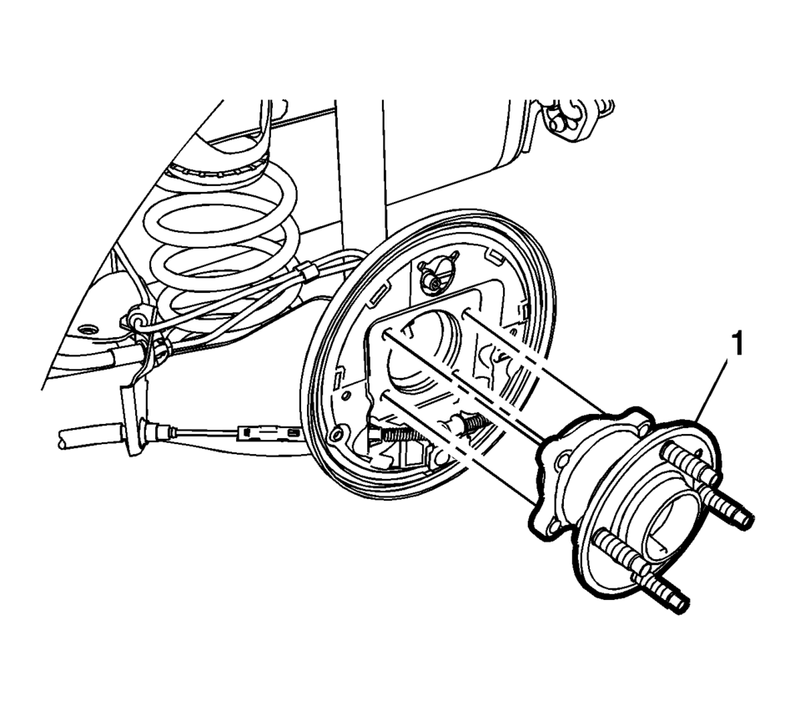 Ensure the park brake cable locking tab is fully engaged in the rear brake backing plate. Insert the front park brake cable into the park brake cable connector (1). Install the rear brake backing plate (2). Install the rear wheel speed sensor, if equipped. Refer to Rear Wheel Speed Sensor Replacement. Install the rear brake cylinder. Refer to Rear Brake Cylinder Replacement. Install the brake shoes. Refer to Brake Shoe Replacement.